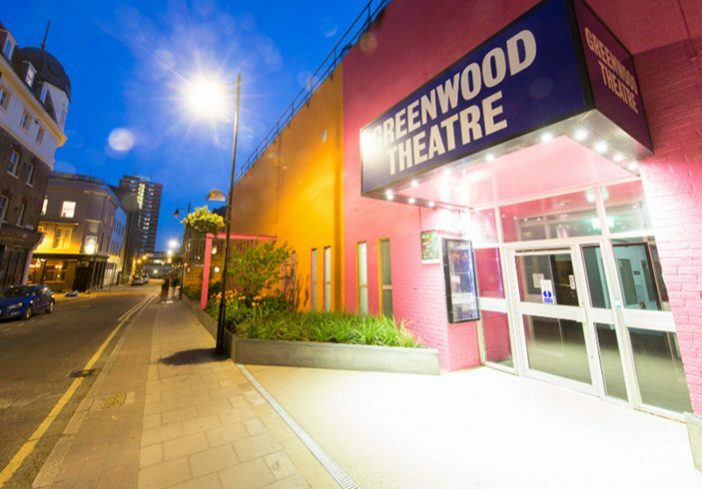 Clearstone has installed several resin bound surfaces in a range of settings for Gardenlink including the transformation of the Greenwood Theatre at London Bridge into an urban oasis. 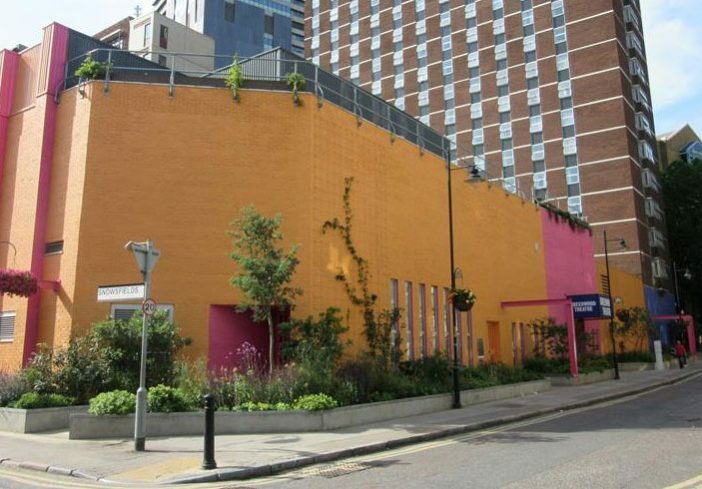 Combining the creative talents of British fashion designer Zandra Rhodes and garden designer/TV presenter Joe Swift, this 1970’s community theatre – deemed ‘a large brick eyesore’ by Zandra – was given a celebrity facelift. 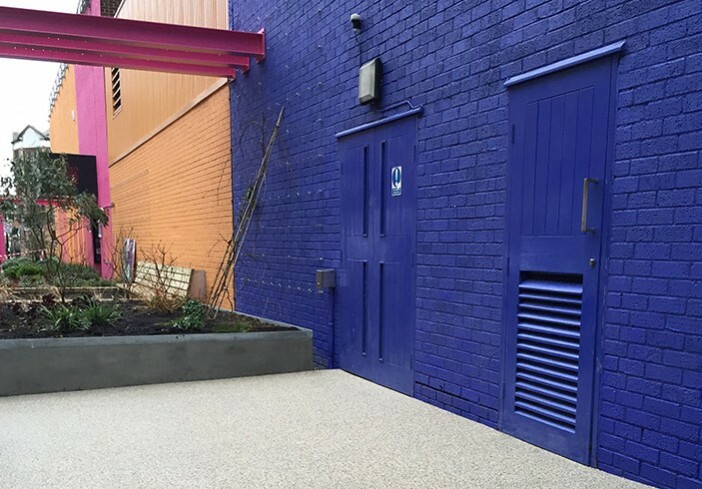 Using soft Birch natural stone resin flooring, Clearstone installed pathways and surfaces around the seating area of the theatre that hosts Kings College London student productions. 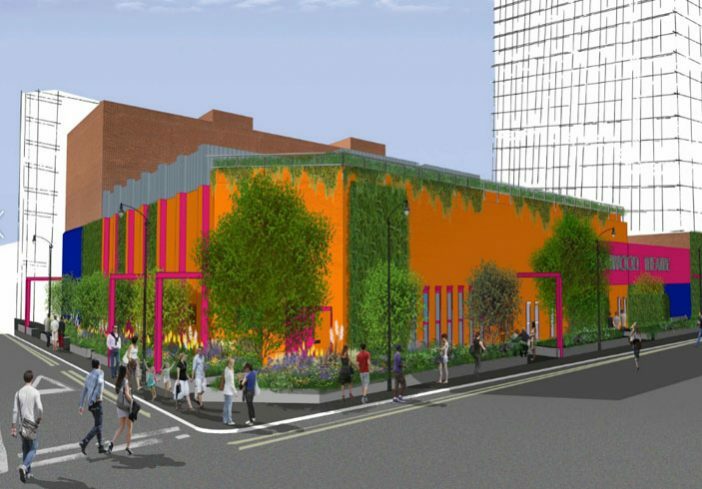 Clearstone® resin bound provides an ideal backdrop to the new vibrant orange, blue and cerise walls of the theatre. 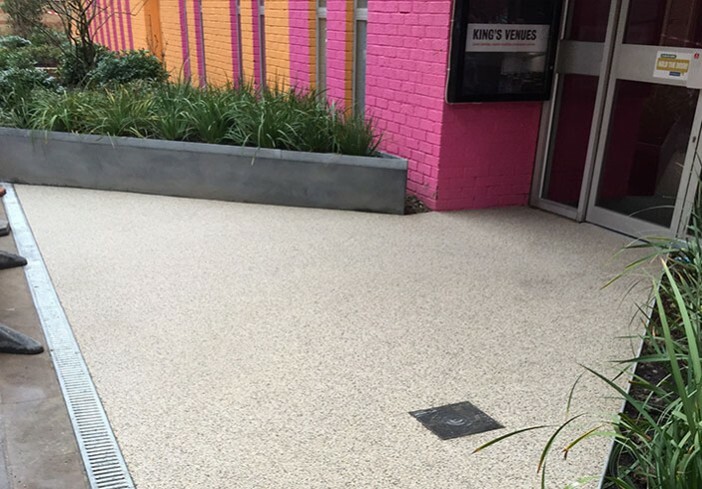 In addition, the permeability of resin bound means no risk of standing water and increased sustainability enabling planting at Greenwood to create a lush ‘pocket garden’ accessible to the wider community: Clearstone’s all-weather resin bound paving accommodates buggies, wheelchairs and footfall. Aesthetic and practical perfection! And there’s no drama with a Clearstone resin bound production: ‘Clearstone provides a good quality product backed by a 10-year guarantee. I would definitely recommend them to other companies: they are efficient, turn up when they say they will, get the job done and leave no mess,’ says Stuart. As a very busy company working on several projects simultaneously, Gardenlink know that working with Clearstone is hassle free: a no-fuss resin bound product and a no-fuss service. Clearstone has been installing resin bound for Gardenlink for five years on projects ranging from 30m2 to 300m2 – all receiving the same degree of expert service and quality materials. Because they formulate their own products, Clearstone offers a truly bespoke service. 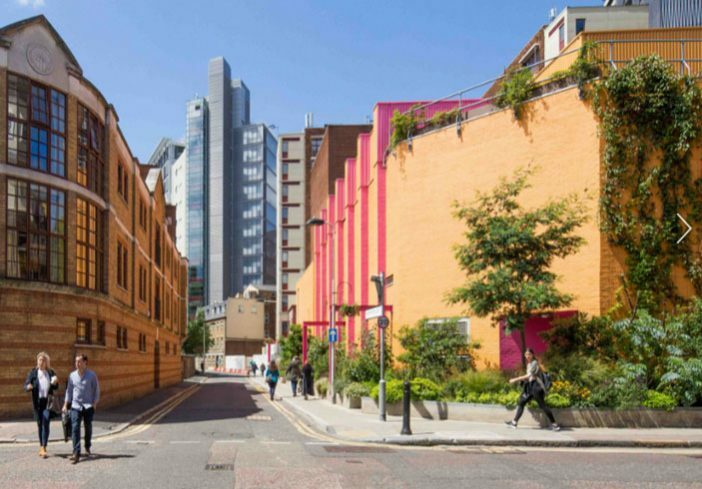 With a background in landscape design and building, Clearstone craftsmen are able to deliver exactly what the client wants – motifs, decorative effects, logos, patterns – using only the highest quality UV-stable aggregates and resins in the full range of RAL colours. From design to completion, Clearstone experts control the whole process so clients are assured of quality workmanship and service throughout. 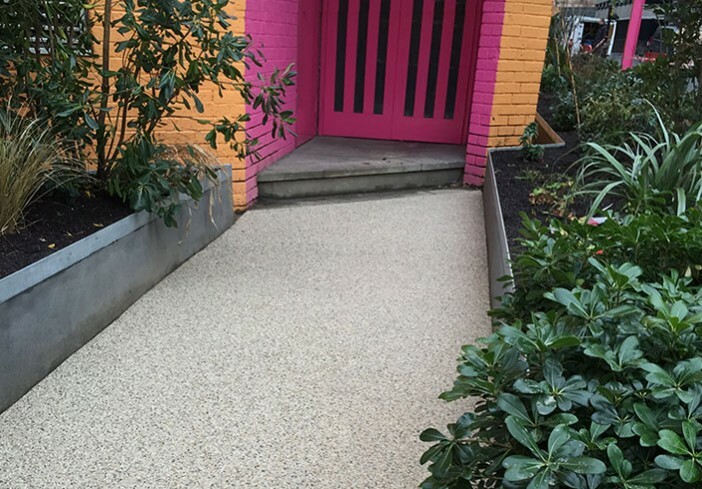 From quirky to traditional, ultra modern to heritage in residential, public or commercial settings, Clearstone resin bound is the perfect solution. 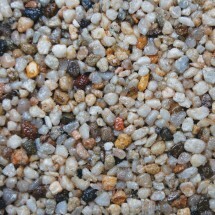 Area: Installed area 158 m2, laid at a thickness of 18mm.